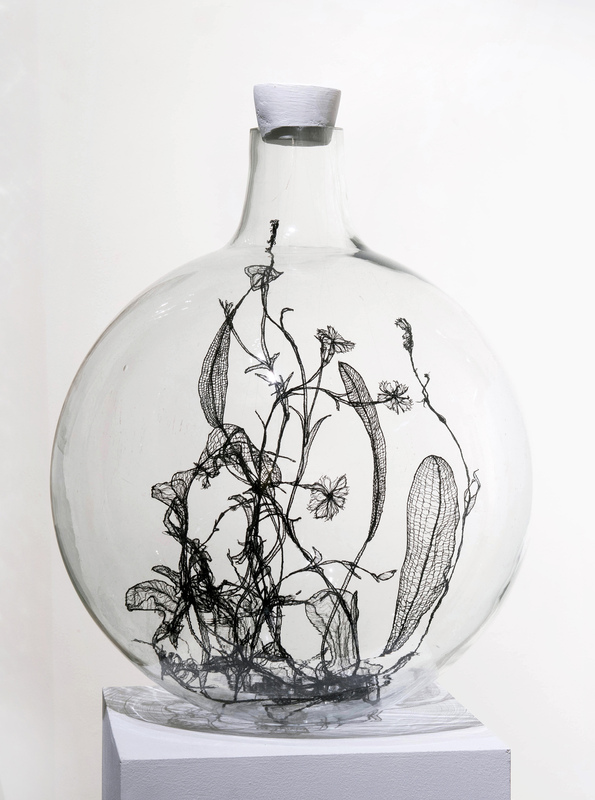 An archive of invented botanical and maritime specimens. 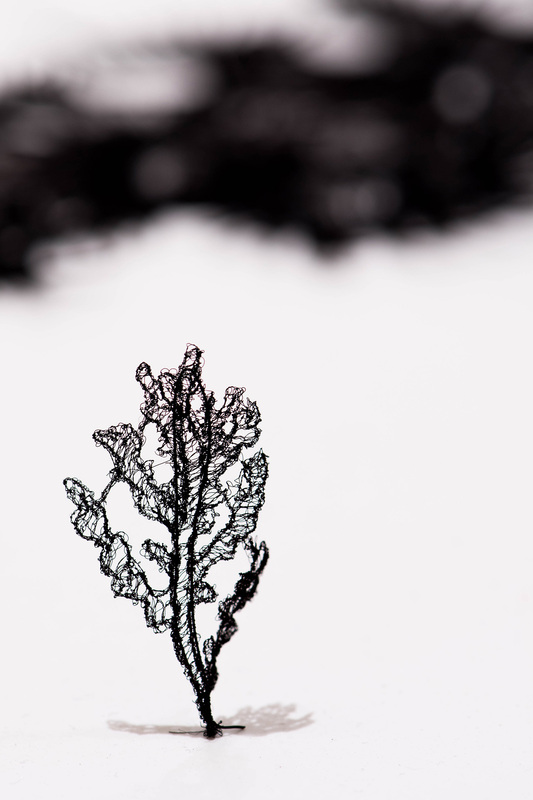 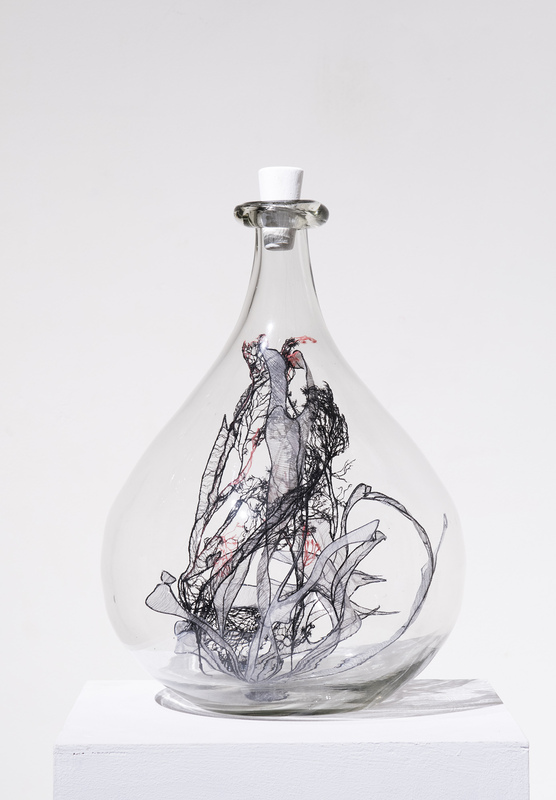 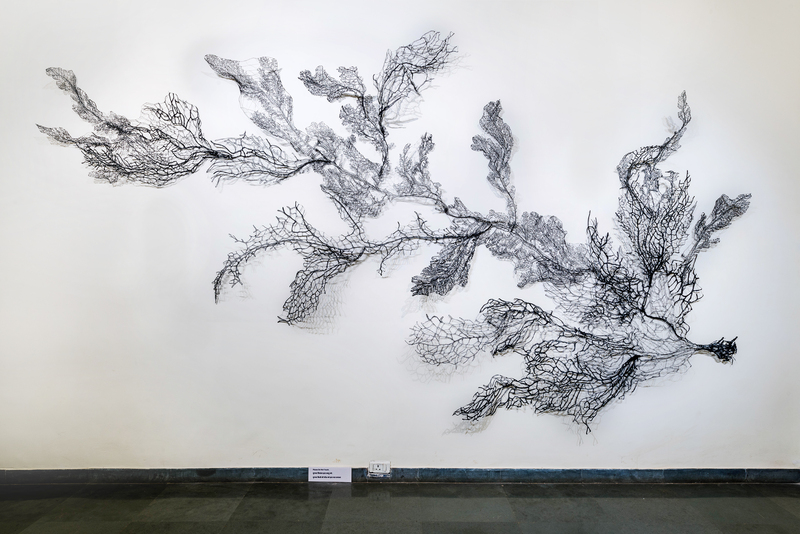 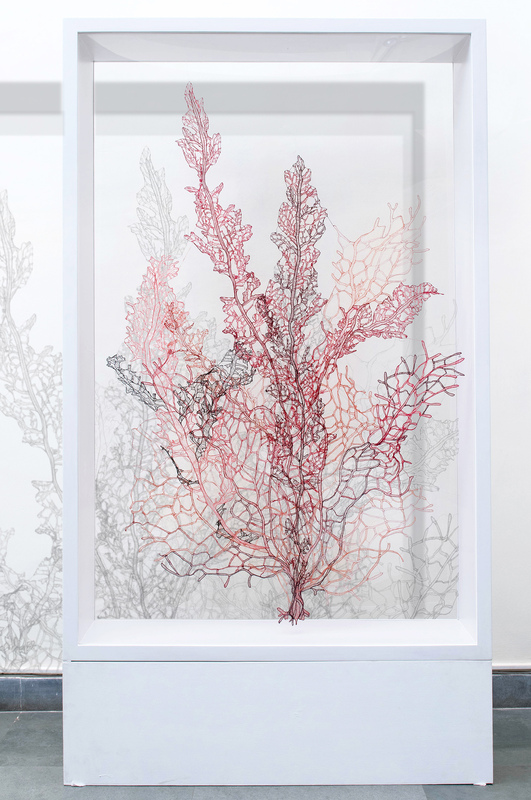 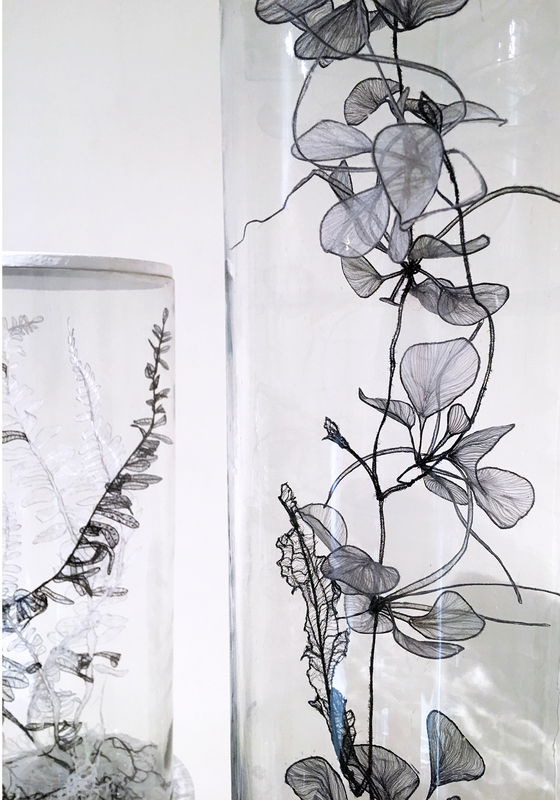 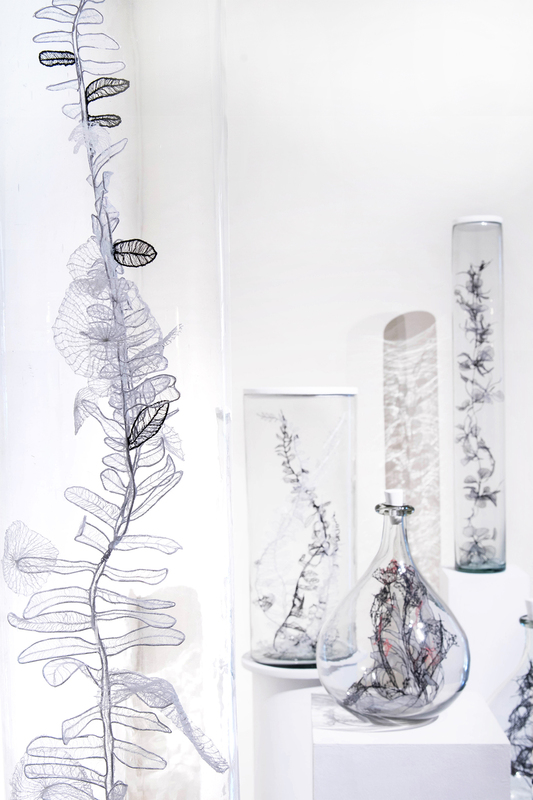 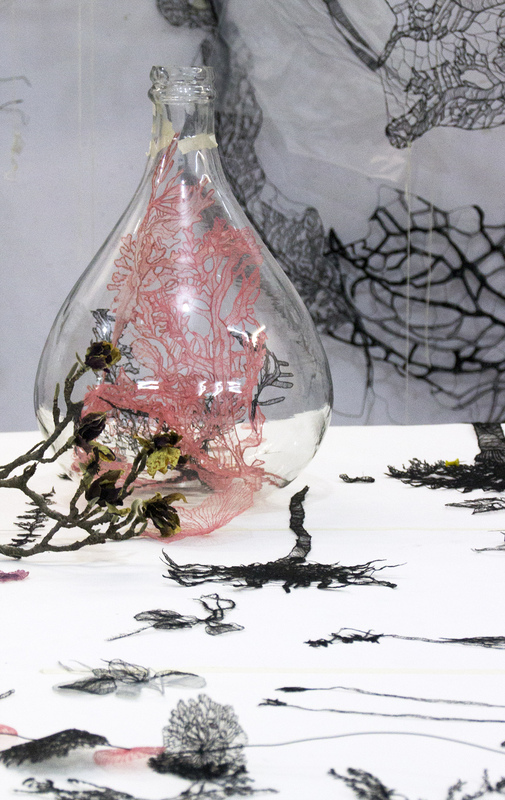 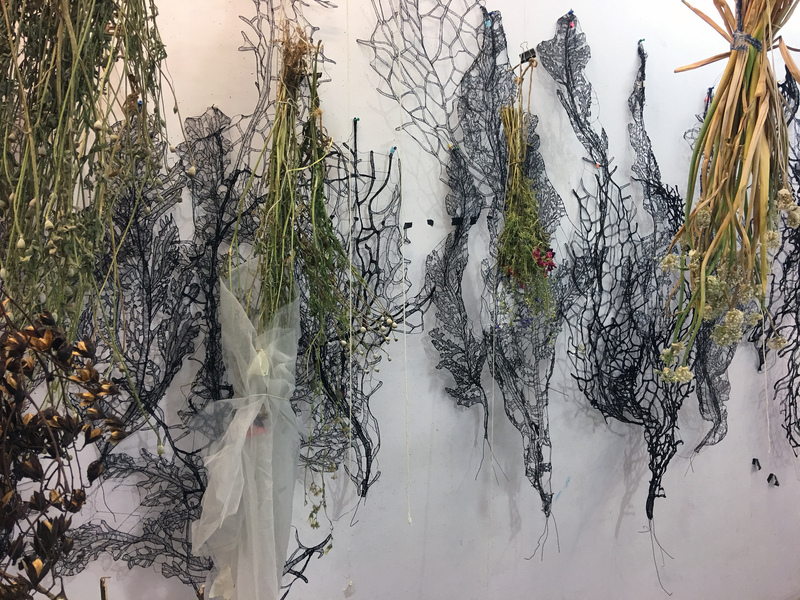 ‘Leaving the Terrestrial: Its own Kind of Archive’ is set up as a mock- natural history museum style exhibit, which displays invented and re-configured botanical and maritime specimens created with thread and wire. 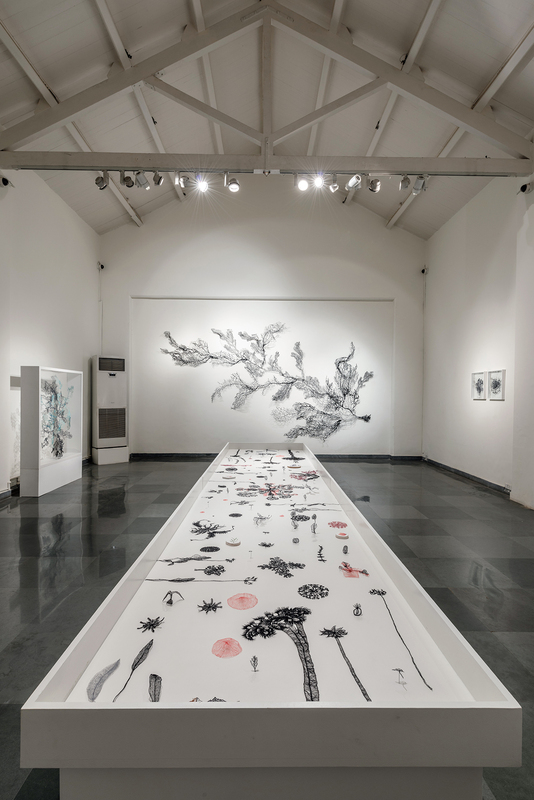 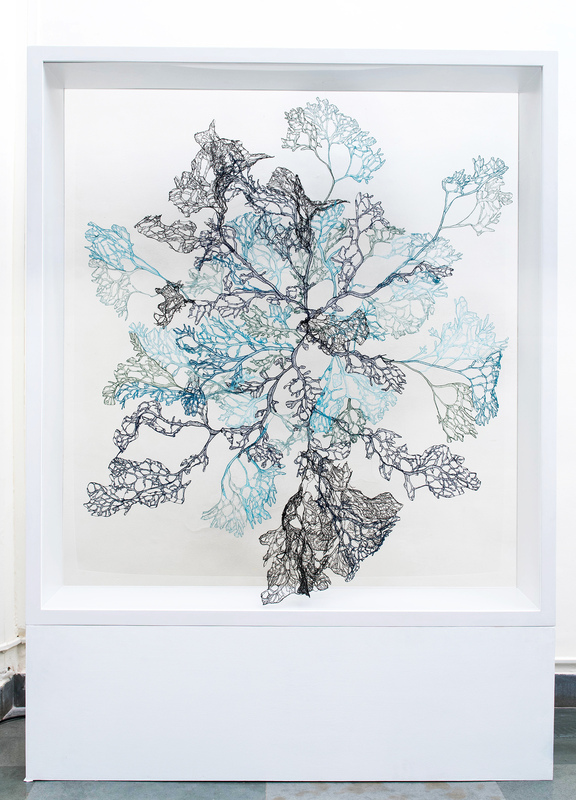 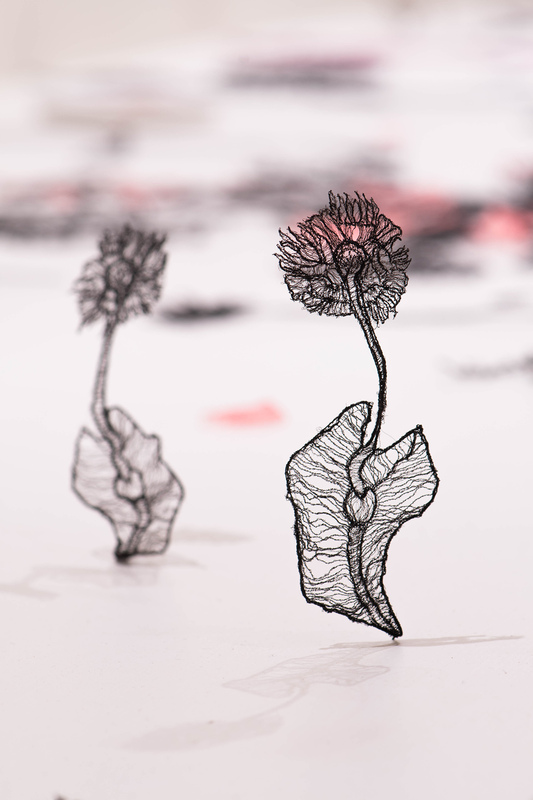 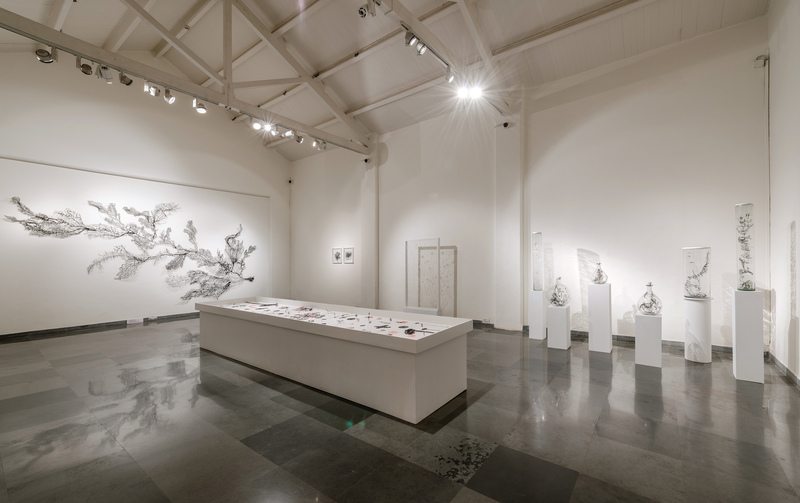 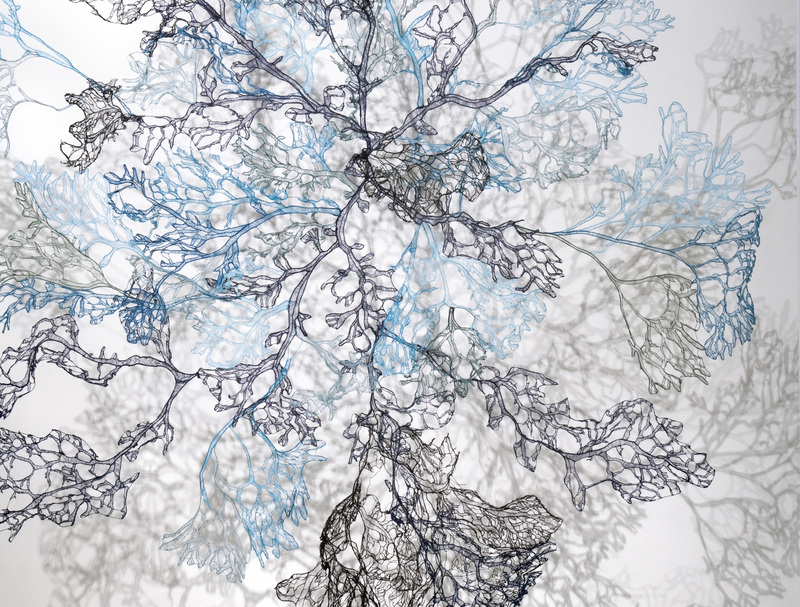 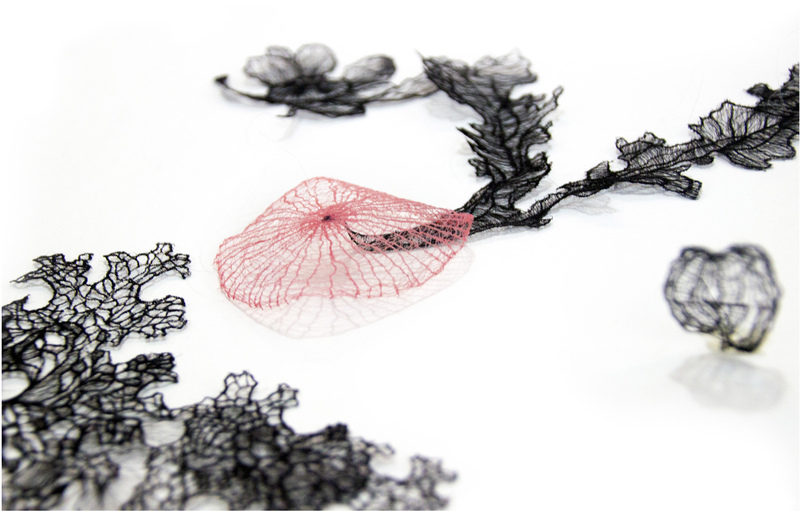 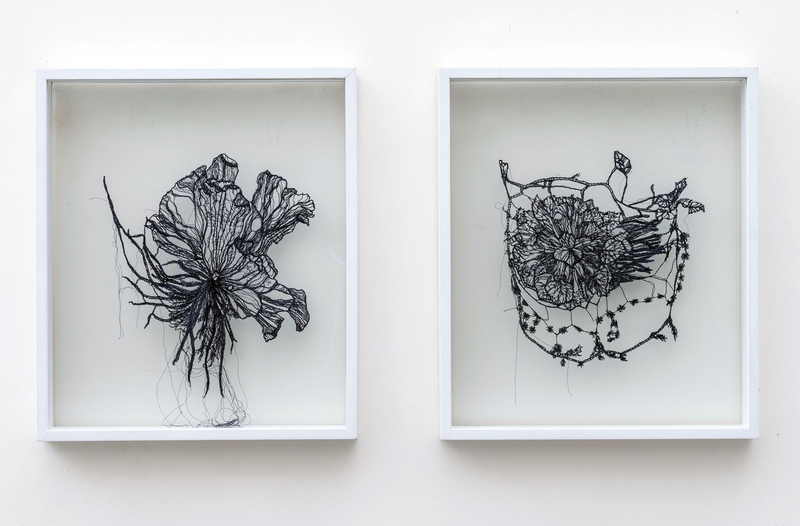 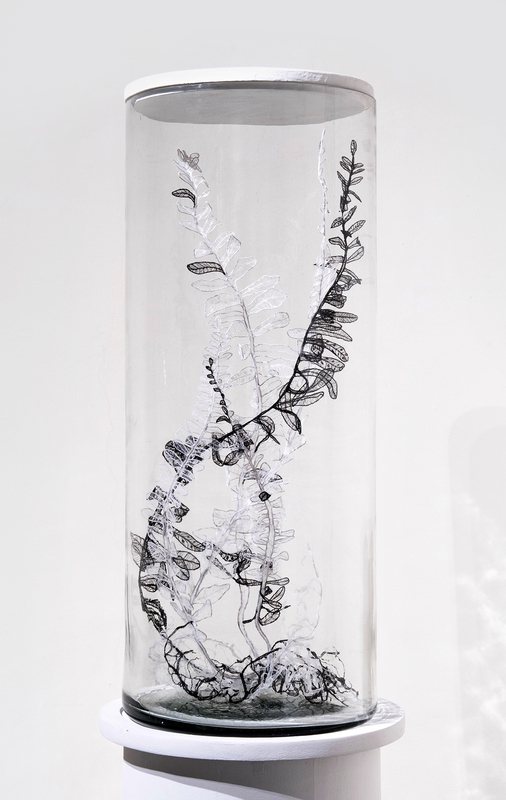 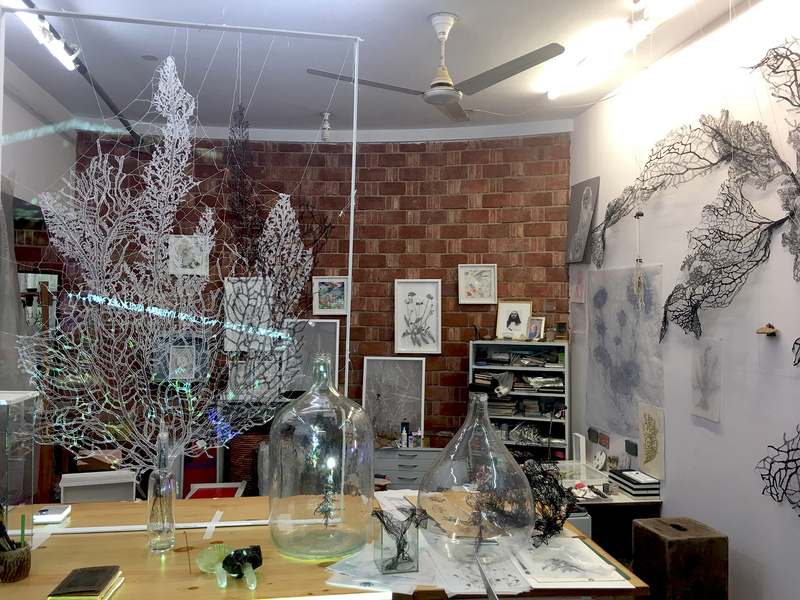 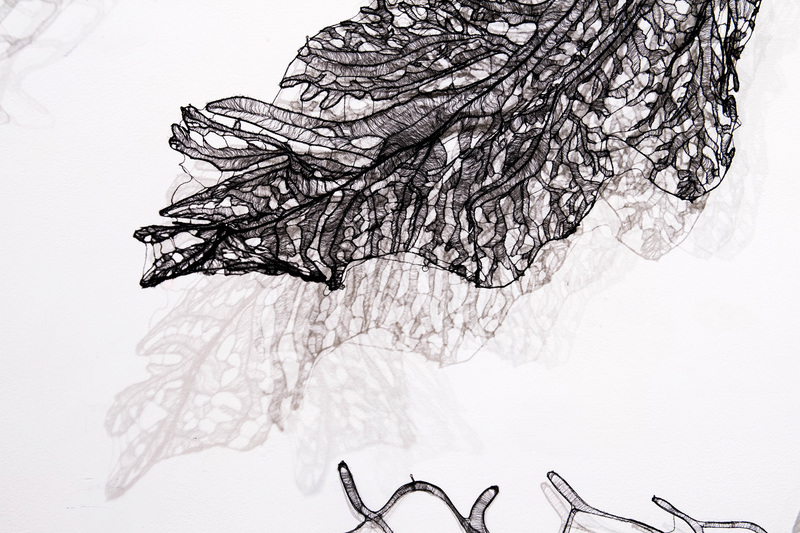 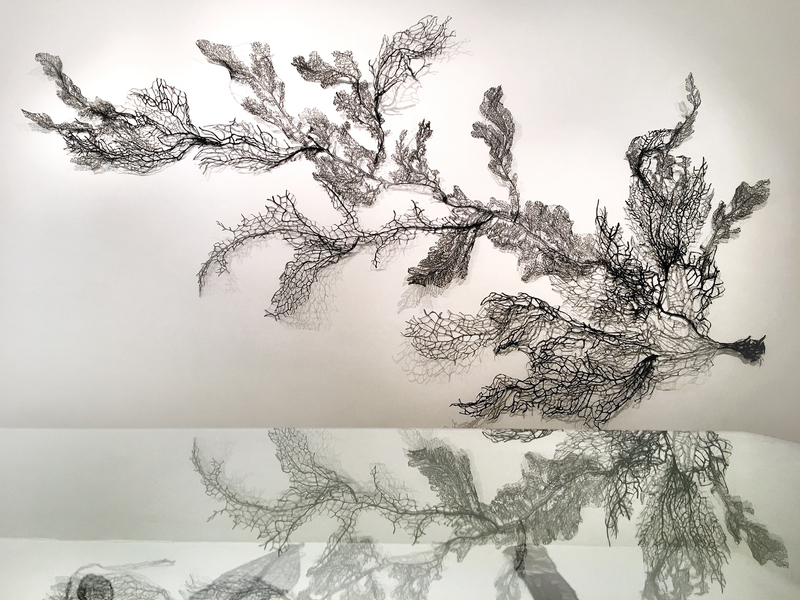 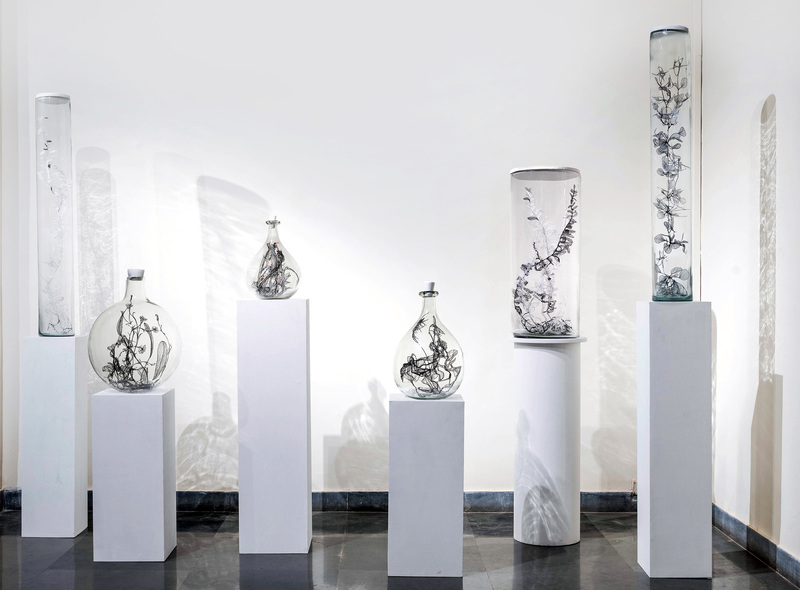 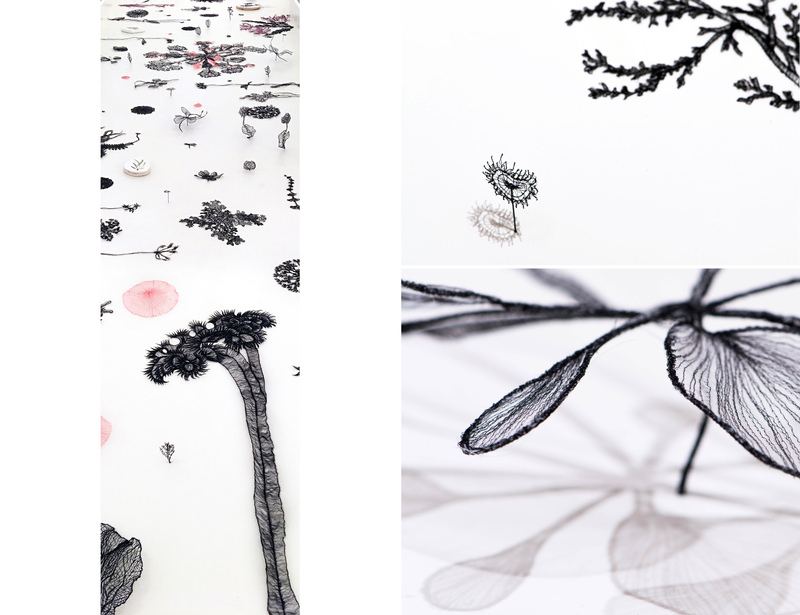 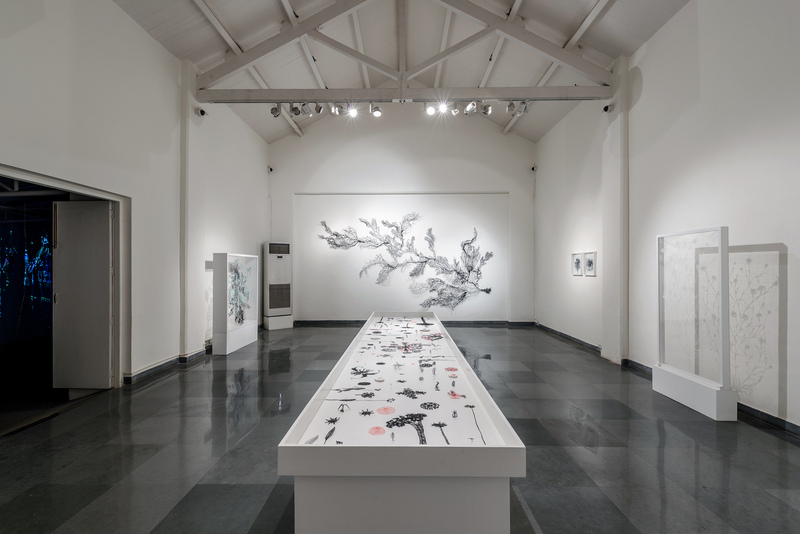 This repository of ethereal armatures references memory, nature, science and fantasy as lace-like fragments levitate without a ground to attach themselves to, fragile woven-skeletons of pressed flowers, leaves and seeds float in glass vitrines, seemingly embroidered on air and unaffected by gravity. 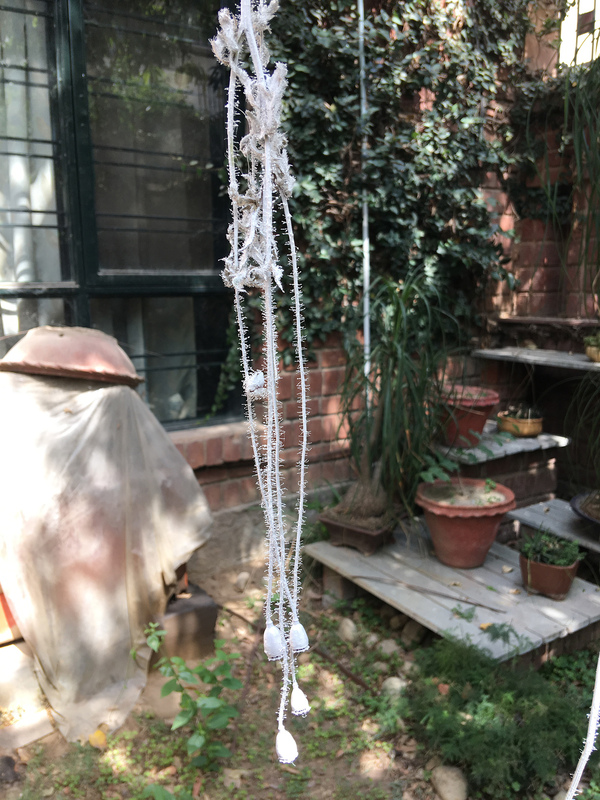 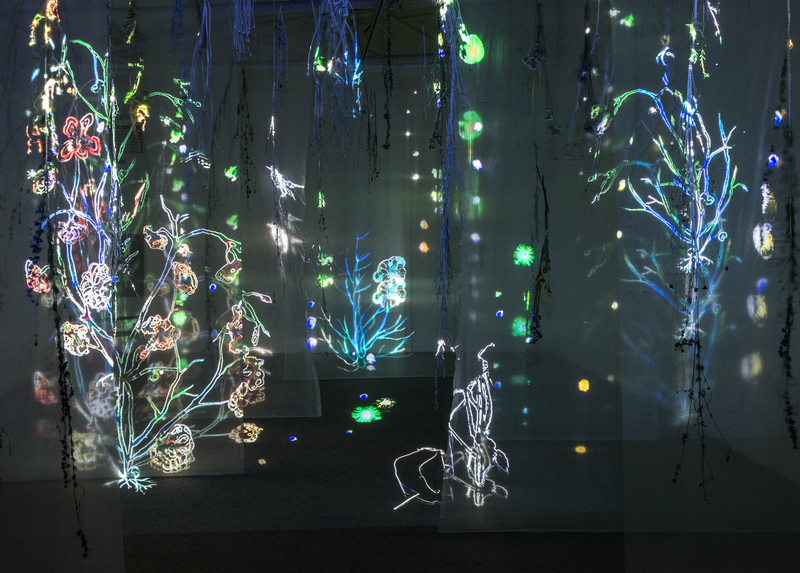 This archive of a created past of invented creatures, leads to a second installation “In the Garden”: an homage to the experience of two particularly lush, illuminated gardens which now outlive their creators – the artist’s mother and a Swiss hermit living in the Himalayas. 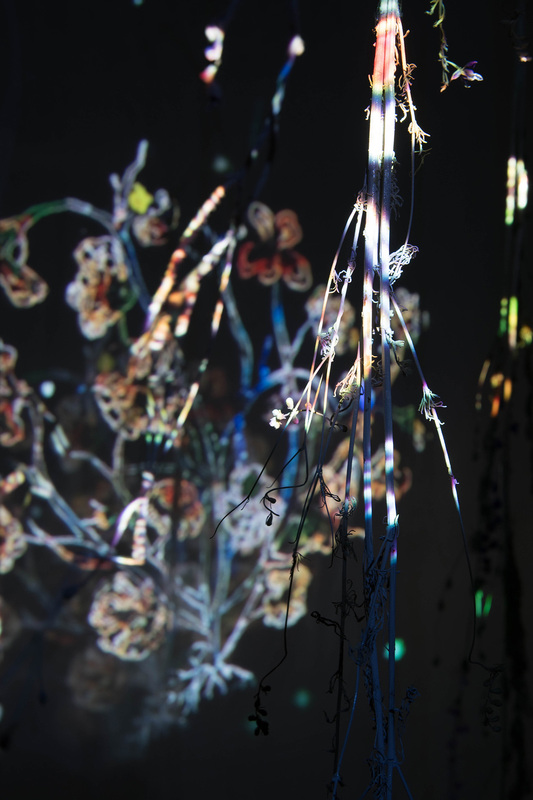 The story is of the gardens as a portal into a dimension of light, magic and possibility. 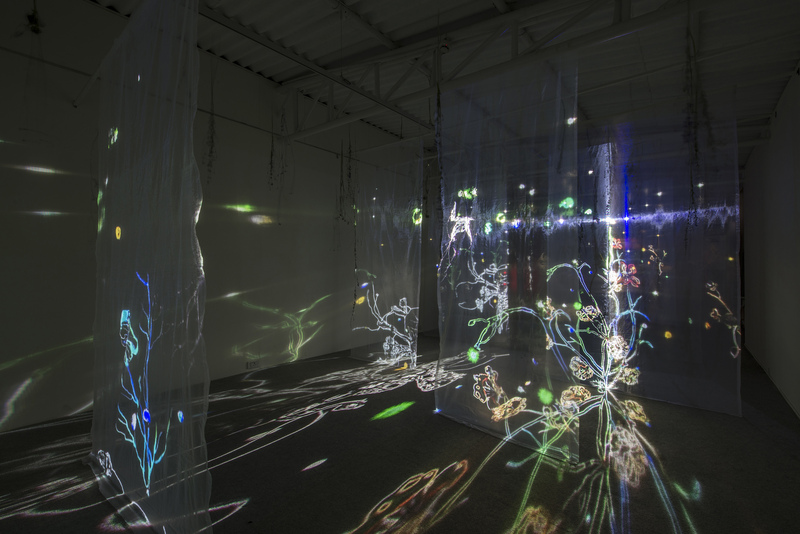 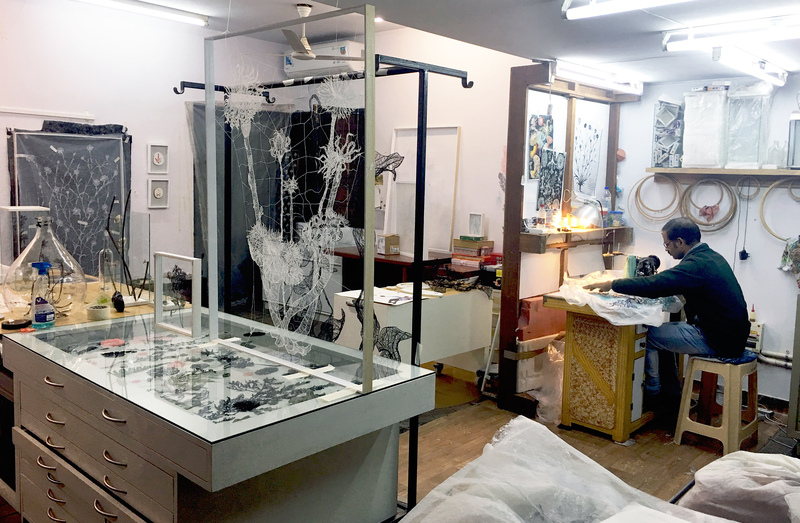 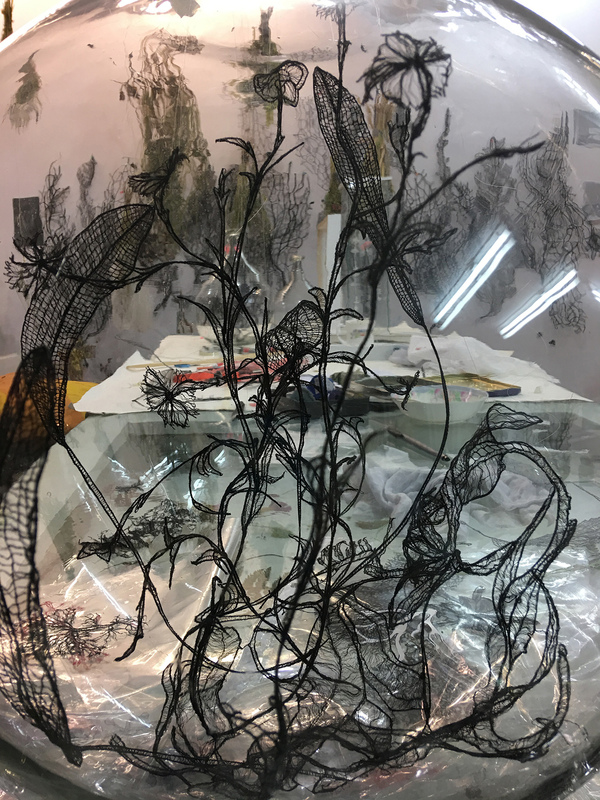 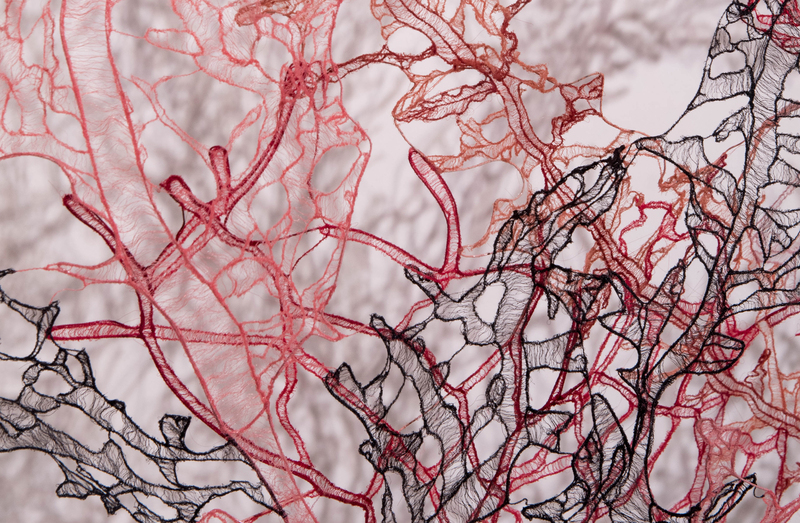 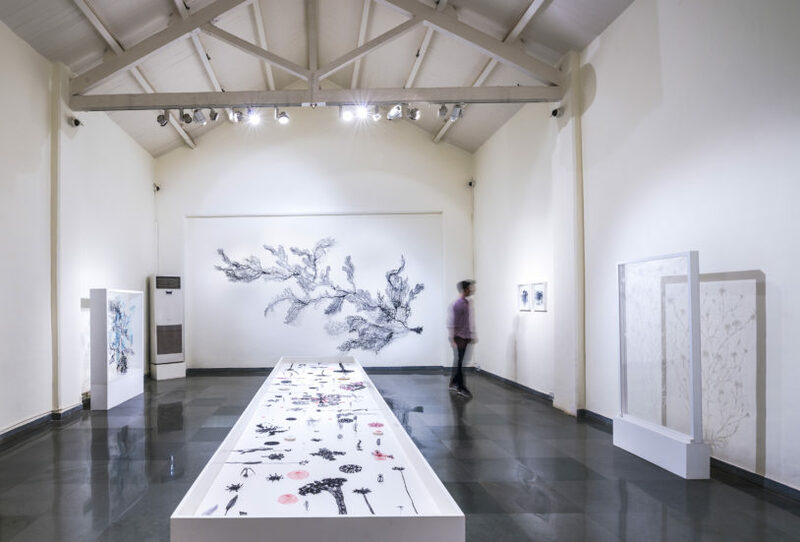 Viewers are invited to walk through luminous hand- drawn and embroidered stop motion animations projected on transparent scrolls of fabric and suspended flowers which host the imagery of a growing, dying and resurrecting garden among flickering fireflies and hummingbirds.